In our work lives, we spend a large portion of our time not just carrying out daily tasks, but also keeping track of them and responding to the consequences of a mistake. Checklists are a common tool that many of us use to plan ahead or to schedule our day, but they can also identify the key sources of error in our work and outline the steps necessary to avoid them. Even when we already know what those steps are, developing checklists when the stakes are relatively low allows us to depend less on our ability to recall when the stakes are high. In a 2008 study conducted in eight hospitals across the globe, researchers met with a panel of health experts to develop a checklist for use during surgery. Their goal was to reduce the frequency of surgical mishaps and the high rate of medical complications that resulted. It took multiple panel meetings, test trials, and revisions to develop the 19-point checklist. When implemented in eight hospitals, located in regions ranging from rural Tanzania to Seattle, and with varying budgets and patient capacities, surgical complications across the hospitals dropped by 36% and deaths fell by 47%, without the addition of any equipment or funding. The checklists had significantly greater impact than the researchers expected, and the impact held constant across diverse settings. So, how did the checklists aid in this decrease? While surgeons go through years of training, humans are still prone to error. By forcing the surgeons to methodically perform the task at hand, this error was reduced. The use of the checklist also helped to pinpoint what went wrong and when, identifying trends and correcting underlying issues. Succinct –Limit your list to the key steps required for successful completion of the task. Surgery can take hours, but the surgery checklist was condensed to 19 key points. 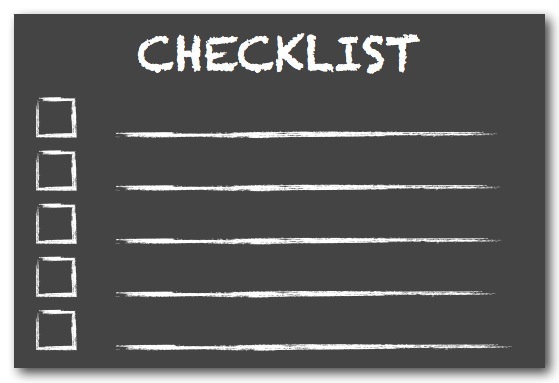 Assume the checklist user is already familiar with the steps involved, and focus on the steps that are missed most frequently or that have the most severe consequences if forgotten (e.g., reviewing patient allergies or verifying surgery location). Command followed by verification – Structure each step as a direct command followed by active verification (e.g., a checkbox). This limits unnecessary text, lets you pick up a task after being interrupted halfway through, and can help troubleshoot errors into the future. Tested –In the hospital study, the checklist was tested in eight hospitals around the world. In an office setting, effective testing may simply involve asking a coworker to perform a task using the checklist to identify any needed modifications. This will improve the checklist’s usability and efficacy for your own work, and will better assist others that take on the same work. 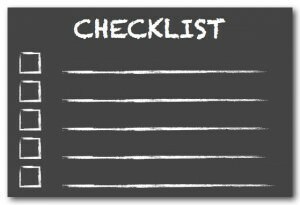 Checklists take work to develop and test, but their long term impact can more than compensate for the investment. Here at Nexight we use checklists to streamline project tasks, more easily shift workload among team members, and improve product quality. This increased efficiency frees up our time to pursue new endeavors and as our efficiency continues to increase, the investment continues to pay off.